I've been accused of many things in my life, but possibly the most derisory accusation is that I am "anti-digital" and that I've been too critical of the swamp-like digital advertising ecosystem that has evolved over the past few years. Coming from a traditional pre-digital print background and having learned my journalistic skills on an electric typewriter while studying journalism in DCU sometime during the last century, I probably am fair game for the digital sycophants who accept that everything is rosy in the digital garden. So, when I get an angry text or email from somebody within the digital advertising industry on a Sunday or Monday morning telling me that my latest ramblings are not helpful to the industry or that I am too biased when it comes to (insert name of social media platform here), I no longer choke on my cornflakes and immediately reply with a robust defence. The truth is I really don't care. Life is too short. What I do care about, however, is the integrity of the media industry and its ability to survive and, hopefully, thrive well into the future. If ever society needed a strong media industry to report the truth and to hold the powerful to account, that time is now. The only problem with this is that it also needs a strong, accountable and transparent advertising industry to support it. Unfortunately, as P&G's marketing supremo Marc Pritchard said last year, "we have a media supply chain that is murky at best and fraudulent at worst. We need to clean it up and invest the time and money we save into better advertising to drive growth". When the World Federation of Advertisers (WFA) announced earlier last week that it was setting out to tackle the many issues that continue to dog the murky world of online advertising, I felt somewhat vindicated and, dare I say, hopeful. The WFA represents advertisers and their trade associations around the world, including the Association of Advertisers in Ireland (AAI). Essentially, these are the companies that fund the entire advertising ecosystem and without them, there is no strong and well-resourced media industry in the future. That it has taken the WFA so long to put its foot down is a different matter. 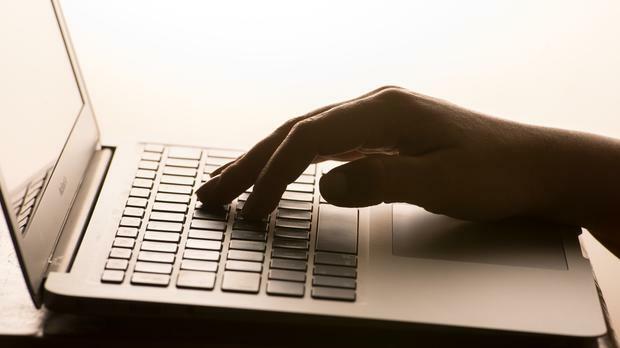 Individually many of its members have expressed their own shock and outrage at the level of ad fraud, wastage and murkiness that has prevailed within the industry. But better late than never. The publication of the WFA's Global Media Charter this week is the product of some top-level collaboration between many of the world's top advertisers as well as advertiser associations and it sets out eight clear 'Principles for Partnership' designed to create a better digital marketing ecosystem. It also seeks to address the many concerns highlighted by Unilever and Procter & Gamble when it comes to things like transparency, brand safety, ad fraud and viewability by creating a framework that agencies, ad-tech companies and media platforms should comply with if they want to secure advertising revenues in the future. At a time when consumer trust in media - particularly social media - is taking a bit of a battering, it's no coincidence that consumer trust in online advertising is also at an all-time low with ad blocking growing by around 30pc a year globally. If people are blocking advertising, then why should advertisers continue to invest their money in online advertising? "The digital ecosystem has grown so rapidly, it's no wonder that it's far from perfect. But the time for indulgence is over," said Stephan Loerke, CEO of the WFA earlier this week. "The largest chunk of the world's marketing budgets is now invested in digital platforms and advertisers have a right to demand that the money they invest can be clearly tracked and understood. "It's not just about knowing that budgets have been well spent. We also need to be reassured that brand and consumer interests are protected in these new platforms." Some of the key principles which the WFA will introduce include zero tolerance towards ad fraud with compensation for any breach in the form of full refunds of all media investments, including fees and commissions, if non-humans or bots are counted in the number of impressions. In addition, advertisers will look to use third-party verification solutions to assess exposure to ad fraud. The WFA also intends to push for greater transparency throughout the supply chain when it comes to pricing, trading, fees and other costs as well as data usage while also pushing for much greater brand safety protection measures by forcing platforms to accept responsibility and the consequences for the content carried on their sites. Advertisers will also commit to not spending their money on platforms that infringe IP laws or sites responsible for fake news content or disinformation. It's an ambitious agenda, but one which I believe is long overdue and most welcome. And if that makes me anti-digital, then so be it.